The ShowerStick – A TRUE Shower Water Softener! Removes hard water minerals – unlike a shower filter! My Review and Experience with The ShowerStick Water Softener (By WaterSticks) Removes hard water minerals – unlike a shower filter! 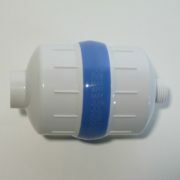 I got this great shower filter/water softener by WaterStick. It is very inexpensive and easy to recharge with just some saltwater. Pennsylvania has very hard water, and I noticed my skin did better in softer water. Unless you have a whole house filtration system, the KDF filter should be installed in-line with the ShowerStick. Using a filter to remove chlorine and other contaminants from your shower water is not only great for YOU but it also protects the softening resin inside the ShowerStick to ensure it stays healthy and has a long lifespan. The KDF filter effectively removes 95-99% of chlorine and up to 98% of inorganic water-soluble heavy metals such as lead, mercury, nickel and chromium. It also controls the buildup of microorganisms such as bacteria, algae, fungi and mold. It lasts longer than most other types of shower filters and it works more effectively at high water temperatures (unlike carbon filters) which makes it perfect for showers. The KDF filter should be replaced yearly (or sooner if you smell the presence of chlorine). May be needed if you have a stall shower with a center mounted single lever water control knob that is mounted higher up to where the ShowerStick may hang down in front of it. Usually isn’t needed with a tub shower since the faucet controls are mounted low enough to not interfere with the ShowerStick being able to hang unobstructed. 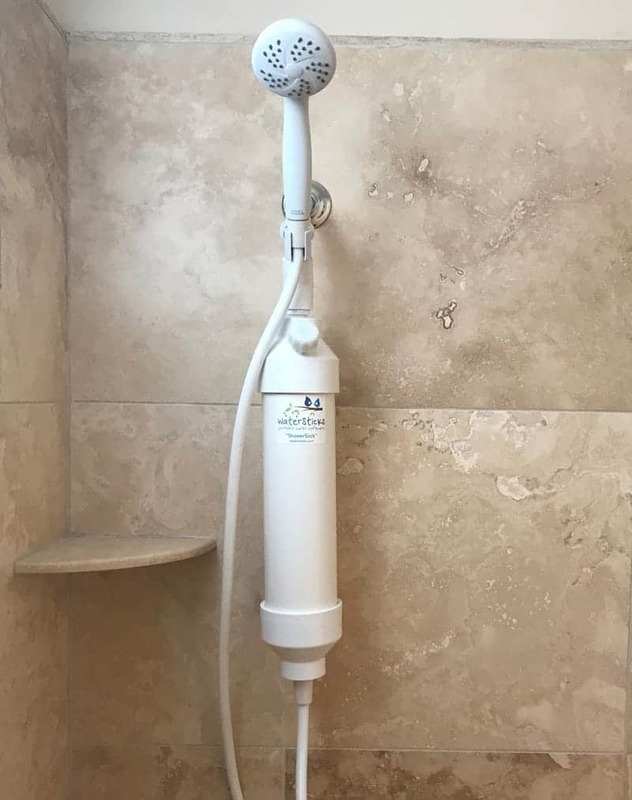 The ShowerStick hangs down 20 inches from the bottom tip of your shower pipe to the bottom of the ShowerStick body (25 inches with KDF filter installed). 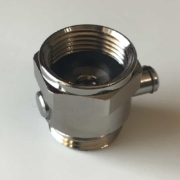 The connector will offset the ShowerStick 4 inches to either side of your water control knob. Includes a jumbo-sized suction cup with loop to attach to your shower wall and a nylon zip tie to wrap around the ShowerStick body and through the suction cup’s loop to keep the ShowerStick hanging straight. Note: The suction cup does not support the weight of the ShowerStick. Installs between the ShowerStick’s handheld shower hose and head is a great option if you want to conserve your soft water in order to extend the time between regenerations. When you push in the button you’re able to reduce or shut off the soft water flow while shaving, lathering or shampooing. Then you can push the button back over to full flow and back to your original water temperature. The ShowerStick hooks up to a standard 1/2” American shower pipe. Similar to whole house water softeners, the ShowerStick contains resin beads which soften water through a process called “ion exchange”. The resin beads attract hard water minerals such as calcium, magnesium and iron. As the minerals pass over the resin beads they stick to the surface of the beads which traps them inside the ShowerStick. After the resin beads collect all the minerals they can hold, the resin needs to be regenerated to flush out the hard water minerals the resin has collected. Regeneration is done by pouring a solution of salt (fine grain plain or iodized table salt) and water (mixed together in a one liter bottle) into the ShowerStick. On average, most of our customers determine they need to regenerate weekly. How often you need to regenerate depends on several factors such as the hardness of your water, the number of people who use the ShowerStick, how often each person showers, the duration of each shower and your water pressure. The hard water test kit (included) will help you determine how often you’ll need to regenerate.